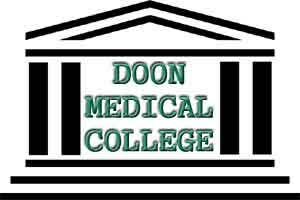 In an apparent move to make changes at the administrative level, Doon Medical College and Hospital has reduced the registration for the patients from Rs 17 to Rs 5, a move to benefit the BPL patients. Haldwani and Srinagar medical college also reported to charge the same amount. There are slew of measures in the pipeline including one registration counter for Doon women and men hospital after being merged and set up in the main hospital from April 01. This move is likely to benefit over 2000 patients (majority of them BPL) who visit the hospital every day. In addition, the hospital will start providing laparoscopic surgery, biopsy and various other surgical facilities to its patients. It will also provide centralized electronic billing and registration system to ensure transparency and convenience for the patients. Stating reason behind the reduction, medical superintendent of Doon hospital, Dr. KK Tamta said has implied that since medical council does not impose any upper or lower limit for the registration fee, we decided to zero in on a basic amount. Rs 5 has been decided as most of our patients our BPL. If the college administration has its way for the masses, there is a likely implementation of reduction in prices of various pathology and other tests. As reported by TOI, interestingly, hospital will also provide laparoscopic surgery, biopsy and various other surgical facilities in the hospital which were not available till the date, another move which got thumbs up from the residents of Doon. 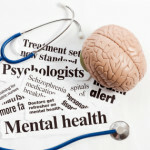 “These services should actually be started as early as possible because a large number of people suffer from kidney and prostate ailments these days. And unavailability of modern techniques pushed us to take private clinics and hospitals facilities which are very costly,” said Sushila Tomar, a resident of Dehradun who visited Doon hospital for gynaecology treatment.